Our friend Jason Brice did it again so we're able to post a great photo set from the last show of the first leg in New York. You find his photo set from New York here. We also thank his daugther Annah for quite a few quick video uploads from recent shows! 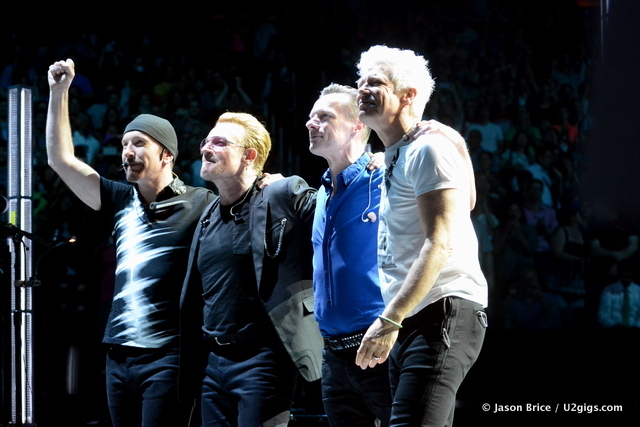 Jason also did more U2 Innocence + Experience tour shows earlier and the photo sets can be accessed via the links below. 2015-05-26 Inglewood, 2015-05-27 Inglewood, 2015-05-30 Inglewood, 2015-06-03 Inglewood, 2015-07-02 Chicago, 2015-07-26 New York, 2015-07-27 New York, 2015-07-30 New York.